Irrigation induced waterlogging and soil salinization is one of the serious problems in irrigated agriculture in arid and semi-arid regions. At present, 2.96 Mha area in India is affected by soil salinity. About 50,000 ha area in Haryana state is waterlogged saline area having shallow water table (depth < 1.5 m) and soil salinity (ECe > 4 dS/m) as natural drainage system is not sufficient in affected areas for controlling the problem. Therefore, subsurface drainage (SSD) technology, an artificial drainage system, is needed to reclaim waterlogged saline lands in the state for enhancing crop productivity. A SSD system is designed to control soil salinity and waterlogging in an affected area. This technology improves the crop intensity significantly by 50–110% and yield by 45–120% and doubles the farmer’s income. About 10,584 ha waterlogged saline area in nine districts of the state (Rohtak, Jhajjar, Palwal, Bhiwani, Sonipat, Kaithal, Jind, Fatehabad, and Sirsa) have been reclaimed by SSD technology by Haryana Operational Pilot Project (HOPP), Department of Agriculture and Farmers’ Welfare, Govt. of Haryana in technical collaboration with ICAR-CSSRI Karnal. 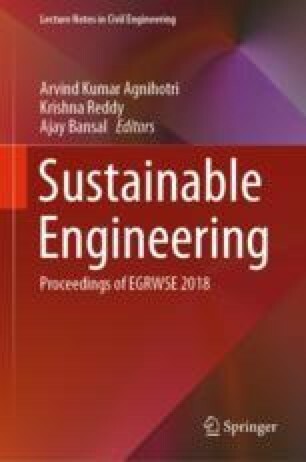 In this paper, the current status of waterlogged saline lands in Haryana, need of subsurface drainage technology, design parameters and performance of SSD systems in Haryana are discussed. These results and outcomes will be helpful for effective and large scale reclamation of irrigated saline lands in the country.